Everyone mythologizes the sounds of vintage sports cars of the 1960s and back, that their engines had some ineffable qualities that modern ones can’t match. 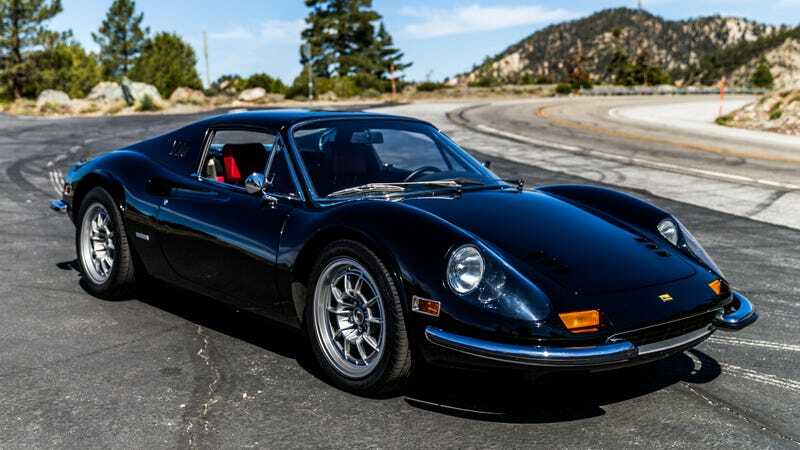 But this guy stuffed a modernized Ferrari engine into his Dino and it sounds incredible. The engine in question is slightly strange: Ferrari supercollector (who once got shunned by the factory for being Too Online) David Lee got a Ferrari F40 block, dropped the turbos and ran it naturally-aspirated through eight lovely velocity stacks. Velocity stacks. That’s what you want. We drove this thing, actually, and can report that, yes, it’s as good as you’d hope.